Tod's presented the Spring/Summer 2014 men's collection in Villa Necchi, during Milan Fashion Week. Regarding shoes, the new addition is the Tod’s Moccasin in nabuk leather with a turquoise rubber sole. 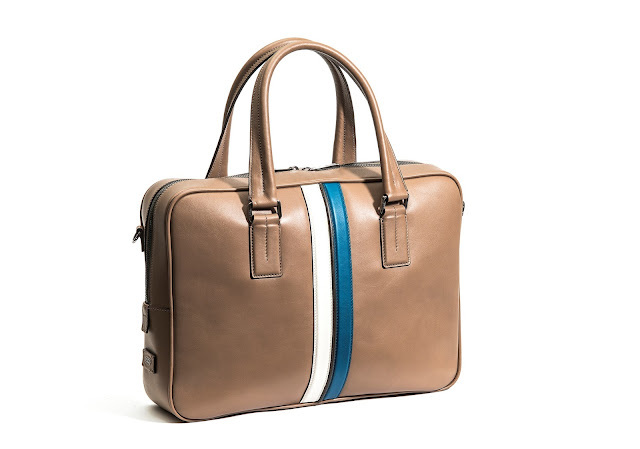 The Double Stripe bag collection for Spring-Summer see also the addition of new color combinations: white and orange or white and turquoise with a flash fruit monotone color version as well.